When you live in an area where snow and bad weather is expected, it's a good idea to plan ahead. Protect the fabric of your awning or canopy when not in use for extended periods of time with a custom made storage bag. 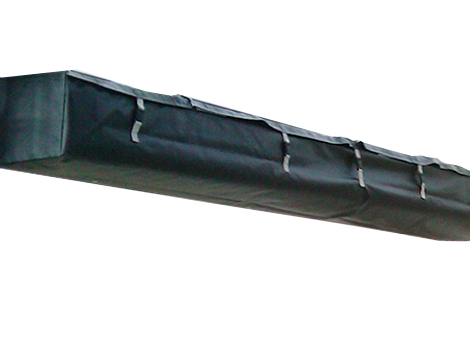 Without removing the fabric, this bag will help protect it while your awning is not in use. Available from Betterliving Patio & Sunrooms of New Hampshire. Add optional side curtains on retractable canopies and pergola canopies on any or all sides – in a variety of fabrics and color choices. 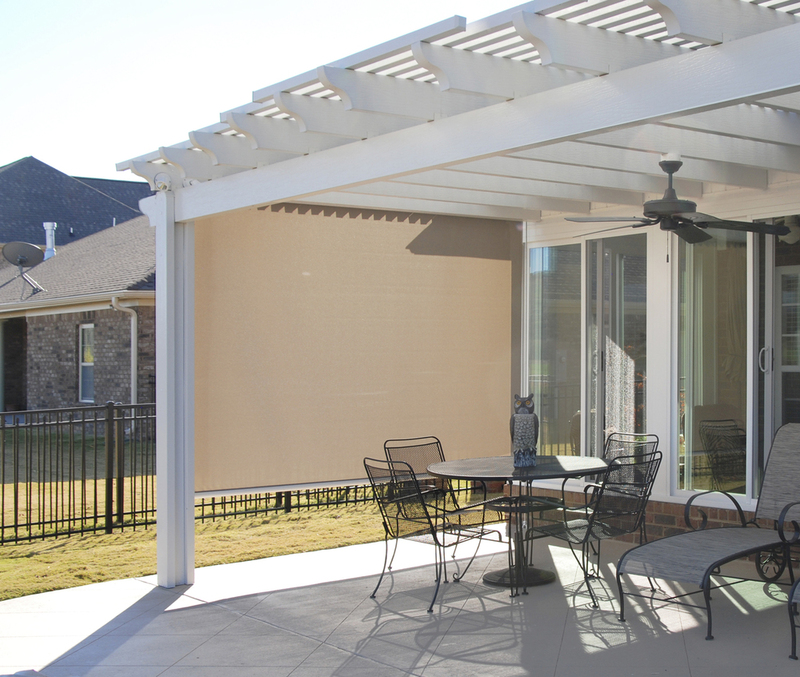 You may choose to put them on just one side of your canopy or pergola to help block the sun when it's lower in the sky, or maybe you want them on every side to better enclose the area and protect your privacy.